WHY DON’T OUR SURGEONS RECOMMEND THE LUNCH-TIME OR MINI-LIFT? A facelift removes excess skin and fat and tightens loose muscles in your face. The traditional facelift addresses the lower two-thirds of your face and neck. The endoscopic lift addresses the forehead area as well. Both methods give you a smoother, firmer, refreshed look and can make you look ten to fifteen years younger. An endoscopic facelift is a minimally invasive procedure using tiny incisions and a miniature camera for a virtually scar-free surgery with a short recovery time. The endoscopic lift results in very natural looking results and can be combined with other procedures to achieve your desired look. The results of a facelift are permanent. This does not mean that your face will stop changing with time. How long you will be happy with the results will depend on many factors including how well you care for your skin. Most patients enjoy their refreshed, youthful appearance for many years before feeling the need for further cosmetic procedures. Traditional facelift surgery is major surgery and recovery can take about four to eight weeks. An endoscopic lift is much less invasive and carries a shorter, easier recovery time. The mini-lift, or lunch-time lift, just does not produce long-term results. It is a very quick and minimally invasive procedure, but most patients are not pleased when they discover that their new look is very short-lived. Our surgeons advise against the mini-lift but will make exceptions for qualified patients who truly understand what to expect and are seeking the procedure for a special occasion. 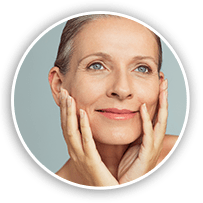 If you still have questions about facelifts in the Scottsdale and Phoenix, Arizona area, Please call or email us today so we can schedule your initial consultation. Our surgeons and staff will be happy to answer all of your questions.